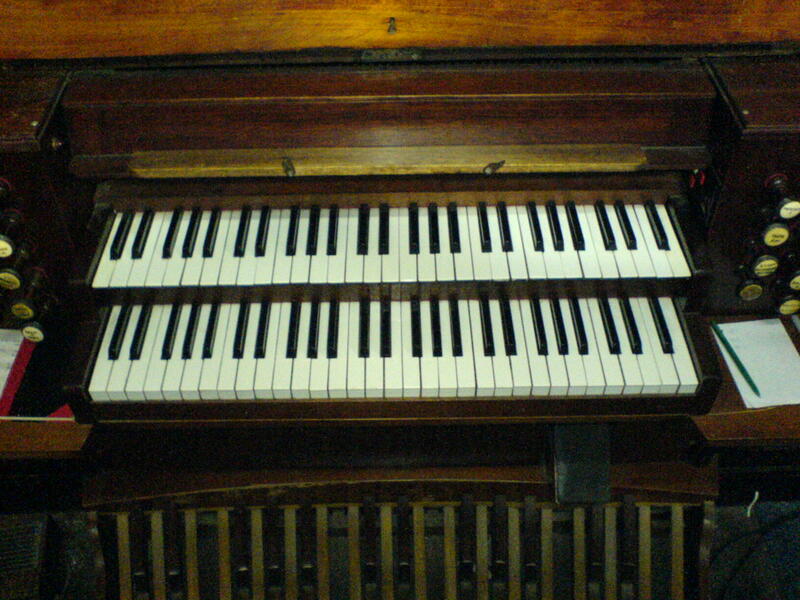 This was my first attempt at creating a virtual sample compatible with Hauptwerk. 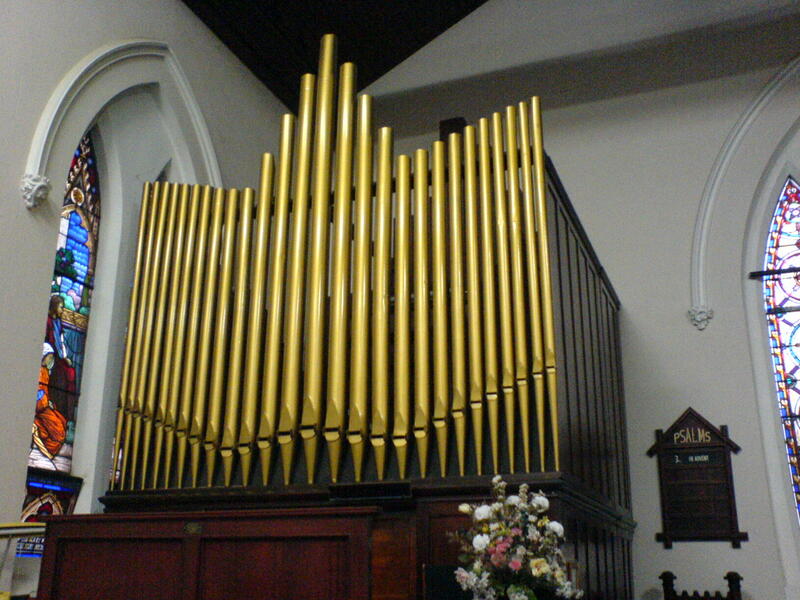 I choose the organ at St Stephen’s Anglican because I was attending their congregation at the time, I had grown quite fond of the instrument’s tone and it seemed like a good instrument to test my equipment out. 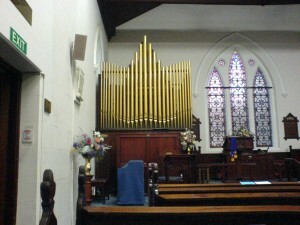 The organ at St Stephen’s in Penrith is Charles Jackson’s second organ. 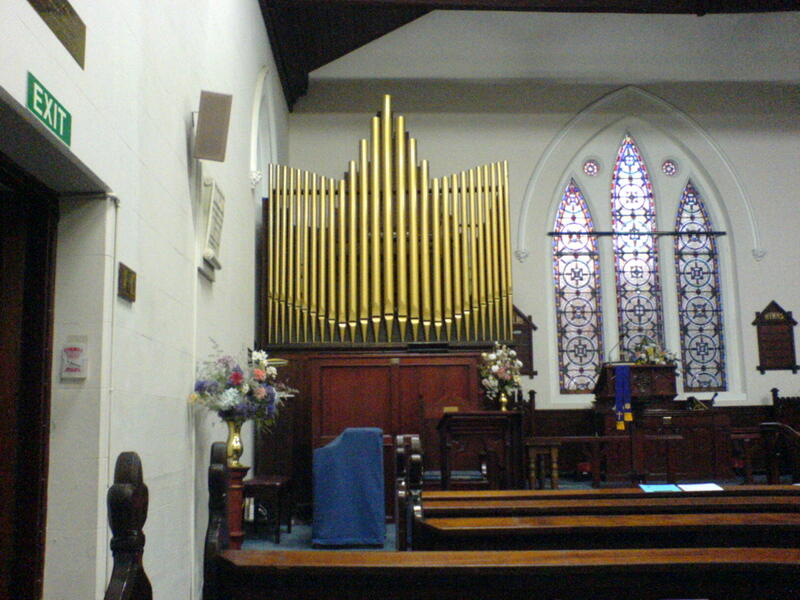 It was built originally in 1874 for St Luke’s Anglican on Sussex Street, Sydney. 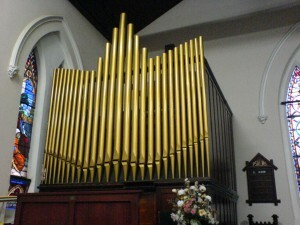 The organ was sold to St Stephen’s Anglican for 70 Pounds and was upgraded and installed in its new location in 1906 by George Fincham and Son. 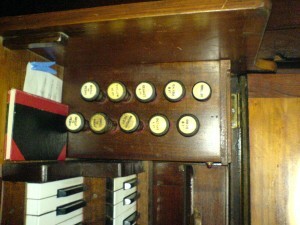 The upgrades included a 4 rank swell and a bourdon to the pedal – this is how the specification stands today. 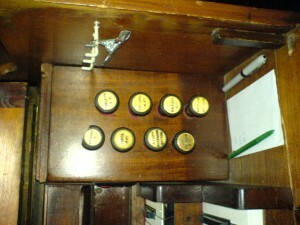 View of the manuals, pedalboard and balanced swell pedal. View of the swell and pedal stops. View of the great stops. 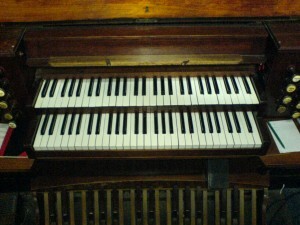 Nicholas, thank you for your organ sample sets. From playing the St. Stephen’s organ samples I’ve started to suspect that the Pedal Bourdon is duplexed from the Great Bourdon. Do you know whether this is correct?